. 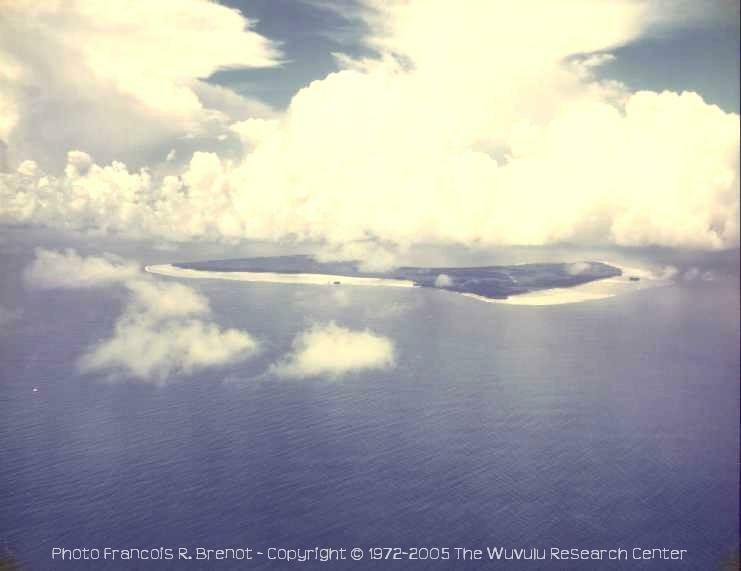 . . is dedicated to the people of the Western Islands of the Bismarck Archipelago, Papua New Guinea. The Western Islands of the Bismarck Archipelago, Bismarck Sea, comprise a group of fourteen distinct small islands and atolls, located west of the Admiralty Islands (Manus Island), Manus Province, Papua New Guinea [map], South Pacific. The principal purpose of this web site is the collection and dissemination of information, documents and materials regarding the Western Islands' history, society, culture and linguistics. Traditional Wuvulu outrigger canoe (early 20th century). Special emphasis is given to bibliographic research and publishing concerning the islands. It is hoped that this project will contribute to helping the great Western Islanders learn about and respect their past in order to face the challenges that will confront them in the future. While all efforts are made to insure accuracy, the information contained on the pages of this web site may include errors, omissions or inaccuracies and/or may not be complete and we decline any responsibility for the consequences of its use. Information may be updated at any time and content can be expected to vary from time to time. If you have any news or information regarding the Western Islands, their history or their people and would like to contribute to this effort, please contact us.